Escape to the studio for wine + cozy crafting. Join us Thursday evening for our next adult workshop all about sipping wine + stitching soft slippers just for your little one (or for a soon-to-be-parent). 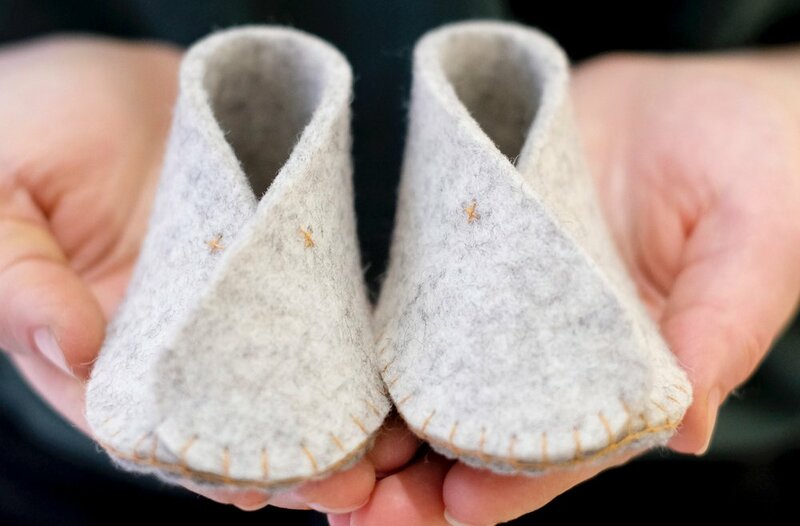 Instructor and skilled sewer Caroline will teach the basic buttonhole stitch and the classic cross-stitch as participants create cozy wool felt slippers. Grown-ups of all ages and artistic abilities are welcome!